"Don't ever, ever feed him after midnight." From the 1984 film Gremlins, comes the Gizmo the Mogwai and the baddest of the bad, Stripe. 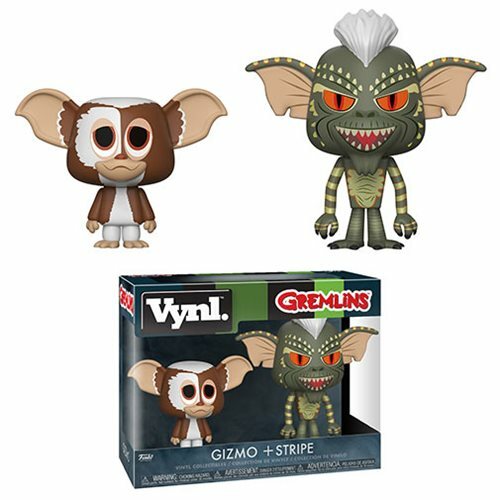 The Gremlins Gizmo and Stripe Vynl. Figure 2-Pack comes packaged in a window display box and each figure measures approximately 3 3/4-inches tall.